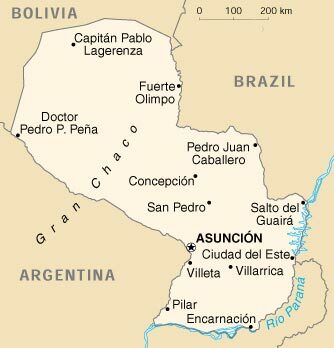 Radiodifusión América is a cultural, educational broadcast group, based in Asunción, Paraguay. Programs produced in our Ñemby studios go out locally on medium wave, wordwide on the Internet, by cassette tapes, and now experimentally also on shortwave. There are two groups of ancestors for Radiodifusión América: The programming is the brainchild of Pastor José Holowaty of KGEI - La Voz de la Amistad. Pastor Holowaty was director of this San Francisco, California-based station, for many years. He specialises in Bible teaching, and is a noted expert in classical music. The high quality and originality of our programs result from the careful direction and tutelage of Pastor José Holowaty. From the technical side of things, Radio América descends from an experimental station, born in the city of San Juan Bautista, Misiones. An ironmonger, known as Peso Justo (Mr Honest Weights), assembled a transmitter from a valve audio amplifier, and wound inductors on bamboo, just after World War II. This station, with the name of Radio América, reached the six or eight receivers existing within a few city blocks of the transmitter. Señor Peso Justo worked hard to increase the range, and, with time, the station could be heard out in the countryside, in the direction of Pilar. The Radio América of Señor Peso Justo specialised in public announcements, for which he charged a small fee. For example, the radio would announce that "Señor X should go, as quickly as possible, to Pilar, as his mother was ill". Señor Peso Justo also broadcast the names of persons with delinquent accounts in local businesses. This served to deter bad financial conduct in the region. Interspersed with these announcements was Paraguayan Polka music. Radio América became an officially recognised station, with the assignment of the ZP20 callsign. Later on, ZP20 was moved to Villeta, alongside the Paraguay River. It continued to specialise in the same programming, along with Paraguayan Polka and Mexican Ranchero music. Radio América became very popular with listeners in Paraguay. In Villeta, the station was owned by the local Police Commissioner. He installed the station in the hen house of his farm, located on high ground, between Villeta and Ypané. A Korean technician constructed a new transmitter, using 833-type valves. This required a supply of 3000 volts to the anodes. They also constructed a new tower, over 100 meters tall. A severe storm destroyed most of this tower. There was no money available to rebuild it. The Police Commissioner appealed for permission to move ZP20 to his property, in Ñemby, which is much closer to Asunción. 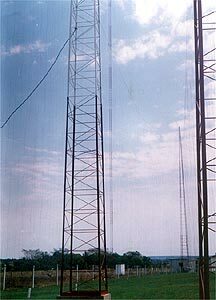 Radio América was reconstructed, in Ñemby, with what was left of the damaged tower, and the 833-type valve transmitter. Ñemby is much better protected against storms, owing to the surrounding hills. With time, Radio América became the cultural/educational station that it is today. The old valve transmitter was replaced by a PDM transmitter, using mosfets. The audio and energy systems have been completely rebuilt. ZP20 Radio América serves the metropolitan region of Asunción from Ñemby. It uses 1 kW of power, on 1480 kHz, feeding a quarter-wave tower. Our new transmitter site is located near Villeta, 37 kilometers downriver from central Asunción. 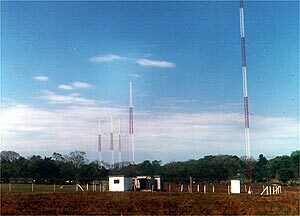 There are three transmitters, all constructed here in Paraguay. The new transmitters are solid-state, and use Class A amplification, in order to assure maximum audio quality. Owing to the irregular energy supply out in the countryside, our new transmitters operate from battery banks. They are recharged, using heavy-duty rectifiers. Two of the transmitters operate on HF and one on MF. Each has a theoretical power output of 2.4 kW. Here in Paraguay, frequencies above 9 MHz tend to overshoot the target areas. Frequencies below 7 MHz tend to propagate only out to 500 kilometers during the daytime. Thus, we use the 41 meter band, from empirical observation, and from computer-generated propagational forecasts. This choice also allows us to maintain the same frequencies, day and night. Many receivers available in South America have shortwave bands. However, the majority tune only from 2 to 12 MHz. Therefore, 7 MHz is located right in the middle of the dial, for most radio sets. At Villeta, we have four antennas. One is for the medium waves, and is 125 meters tall. It is equipped with 18 kilometers of buried radials, one for every two circular degrees. This antenna has a theoretical gain of 8.84 dBi, is omnidirectional, with vertical take-off angles of from 3 to 27 degrees above the horizon. We have, as well, a large Corner Reflector antenna. This is beamed at 184 degrees, from Magnetic North. The antenna is 82 meters long, on three sides, and is 26 metres tall. There is a theoretical gain of 25 dBi. The horizontal beamwidth is 22.5 degrees, with vertical take-off angles of 3 to 27 degrees above the horizon. There are two 5/8-ths wavelength radiators, using the backside of the Corner Reflector, to serve 4 degrees from Magnetic North. These antennas have a theoretical gain of 8,84 dBi, a horizontal beamwidth of 45 degrees, and vertical take-off angles of 3 to 27 degrees above the horizon. Radiodifusión América is testing, from Villeta, on the frequencies of 7385 in the 41 meter band and on 1610 kHz in the medium waves. From Ñemby, regular programs continue on 1480 kHz. All frequencies are normally on the air 24 hours, seven days a week. The Villeta transmitter site is connected with the Ñemby studios, via PCM radio link. Shortwave frequencies are changed from time to time, so be sure to check the South America Forum on DXing.info Community for the latest information. For instance, we plan to replace 7385 kHz with 9980 kHz shortly. And when you hear us, don't forget to send us your reception reports, they are most welcome and correct reports will be verified.